The crystal chandelier Orion is characterized by a neat and simple structure; the crystal garlands have been fixed on the structure on both ends. 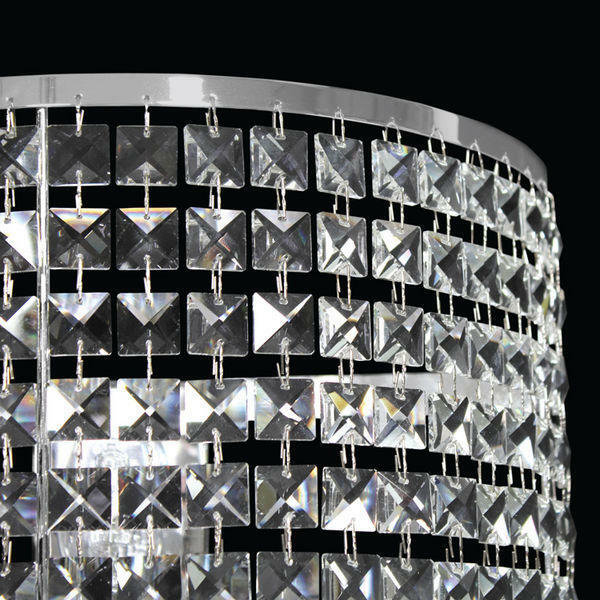 Orion is available in two variations: ceiling lamp and suspension lamp; the crystal garlands can be made of different kind of crystals: octagons, prisms, square crystals, etc. Also the size of the structure can be customised according to the designer's needs. 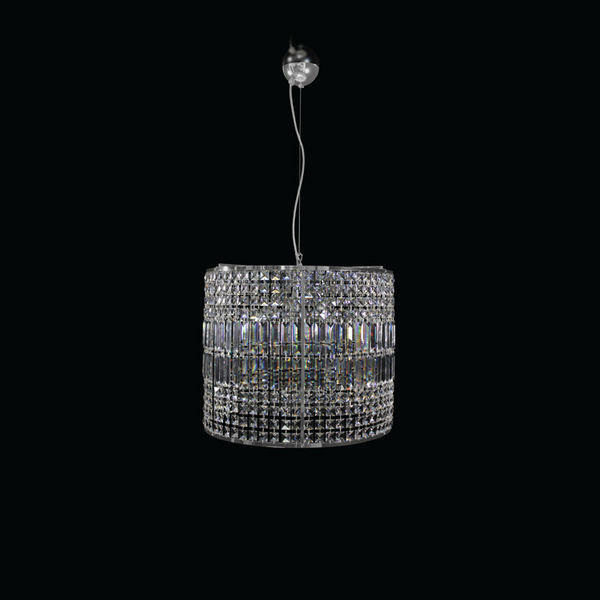 A wide range of colours are available, both for the crystals and for the metal structure. 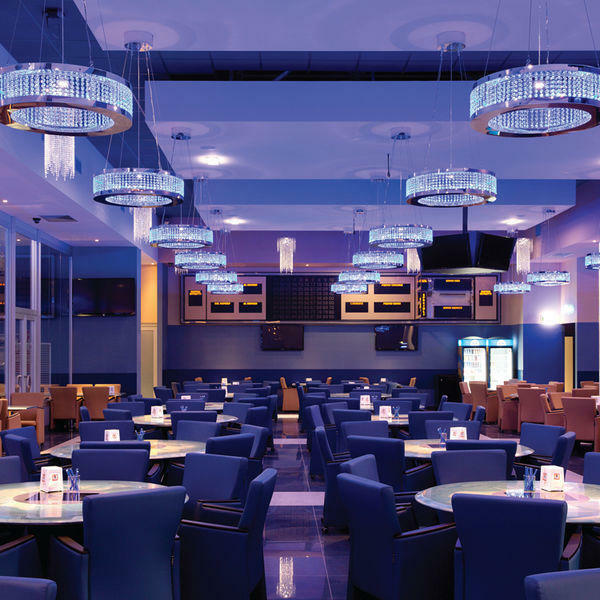 The modern crystal chandelier Orion is the ideal solution for large projects, as well as for public projects in the contract sector, such as the decoration of hotels and multiactivity centres.